Rep. John Yarmuth was recently elected as Chairman of the House Budget Committee in Washington, D.C.
Editor’s Note: WAVE3.com originally published this story without making it clear that Rep. Yarmuth was joking in his tweet. The story was clarified, but then later removed from the site altogether, which is not consistent with the editorial policies of WAVE 3 News. The story below has been updated and corrected. The joke was in response to President Trump’s call for a ban on Muslims entering the country until representatives can figure out “what is going on." The statement follows controversy and national outrage surrounding a viral video of Covington Catholic High School students. It depicts an incident involving the students, who were there for the “March for Life,” clashing with an Indigenous Peoples' March in Washington, D.C., on Friday. The video shows a young man among students from the high school in northern Kentucky staring at a Native American Omaha tribe elder as he bangs a drum. The teen is wearing a “Make America Great Again” hat, and many of his classmates behind him in the video are also wearing MAGA hats. Additional videos later surfaced, painting a different picture of what happened. The student involved in the incident released an official statement Sunday. The lengthy explanation portrayed the students as targets of discrimination and insult, rather than the Native American elder in the video. One CNN commentator said the video reminded him of the outrage to integration in Little Rock, Ark., after the Brown v. Board of Education ruling in 1957. 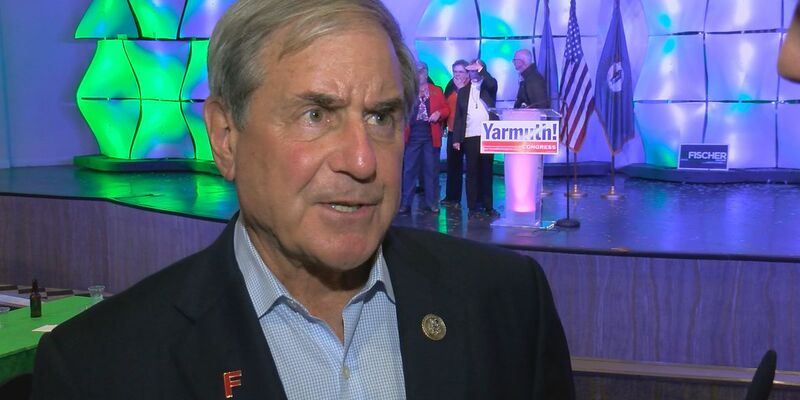 The Jefferson County Republican Party responded to Yarmuth’s statement with one of its own, saying the Louisville congressman wants to deny First Amendment rights to teenagers. "John Yarmuth wants to deny First Amendment rights to teenagers. Congressman Yarmuth’s tweet today about a “total and complete shutdown of teenagers wearing MAGA hats” fundamentally violates the sacred oath he took less than two weeks ago to protect the Constitution. It’s embarrassing that our Congressman would use his office to stifle the political expression of America’s youth. Instead of shutting down the views of his political opponents he ought to be focusing on serving the interests of our entire community. After a long career of irrelevance, John Yarmuth was elevated to be the House Budget Committee Chair--a position of leadership in our government. His flagrant disregard for our first amendment rights brings dishonor and discredit to his office, our community, and the entire House of Representatives. If he refuses to protect and defend the United States Constitution then he should resign."